Does she practice daily self-treatment? A teacher who practices daily hands-on self-treatment values and understands the practice with greater depth than teachers who don’t have a consistent, committed self-practice. Also inquire: What was her Reiki training? What is her Reiki lineage? Was she a Reiki professional offering treatment to the public before becoming a Reiki master? What teaching experience does she have? What avenues has she created to offer students continuing support? It takes time to become a skilled Reiki master/teacher–and I mean years. Is she welcoming, non-judgmental, even-tempered, professional, and anything else you feel is important in a teacher? Does she have clear boundaries? Does she communicate clearly? This is an important relationship, so contemplate your values. If you are choosing between a teacher you like vs. one with more experience or a bigger reputation, I’d go with the one you like, especially if she will continue to be accessible to you, as long as she is qualified and committed to her students. Give yourself the benefit of taking a class that is devoted to basic hands-on practice, with a focus on daily Reiki self-treatment. The class should include the four First degree initiations; protocols for self-treatment and informally offering Reiki to others (this is not professional training); an accurate overview of the history of the practice, starting with Mikao Usui; and ample in-class practice time. The goal is for you to feel comfortable continuing your daily self-treatment at home by the time the class ends. Ten hours or so is a reasonable amount of time for a small group class. It’s preferable for the class to be spread out over two or more days, so you have the opportunity to practice at home and bring your questions to the next session. Did your mom ever tell you (as mine did), “You get what you pay for?” Low fees might indicate low confidence, little experience, or lack of grounding. 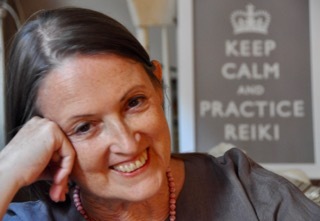 You want a teacher who appreciates the value of Reiki practice in today’s world. After all, you live in today’s world, don’t you? Your First degree Reiki training is a one-time investment that brings dividends for life; it makes sense to be generous to yourself. You are welcome to print this copy of the points to keep in mind as you evaluate classes. What if you don’t find any appealing Reiki masters in your area, and you are unable to travel? There are still options. Is it feasible for you to organize a class and invite a Reiki master to travel to your area? At what point might you choose to learn from a qualified, attentive Reiki master who is accessible only through technology? Each prospective student has to ask herself, what is the best learning opportunity for me? Keep in mind that, if you leave your First degree class feeling unsatisfied for any reason, you can still practice daily self-treatment, contemplate what was missing in your class experience, and consider taking First degree training from another teacher at some point. I also know many people who were happy with their First degree training, yet over time decided to take another carefully chosen First degree class and found it enriching. Your First degree class will give you everything you need to practice daily hands-on self-treatment, and to share treatment informally with others for the rest of your life, and that’s all most people need. Please don’t feel pressured in any way to take Second degree (distant treatment). But if you want to learn distant treatment, give yourself the benefit of practicing daily hands-on self-treatment for a minimum of 3-6 months before signing up for a Second degree class. I am a member of The Reiki Alliance, a global organization of Reiki masters who are committed to continuing Hawayo Takata’s standards of slow, thorough training. If you are looking for a teacher, I suggest you start there, but I still encourage you to go through the points discussed above rather than assume a member meets your standards. Ultimately, it all comes down to the teacher, her ability to carry the lineage and share the initiations, and to create a healthy relationship with her students. Let’s stay in touch. Please sign up for my email list here! I would like a retreat for relaxation; I Need the relaxation. I personally do not want degrees etc. are there any retreats you can recommend? I give the Heart of Practice Reiki Retreat in Mexico for Reiki practitioners to heal and deepen their practice, no degrees or training given. I recently got interest in Reiki and have been researching online where to take classes. In the area where I am from there is no Reiki practise and or class within a decent reach. The closest one is about 40 minutes away. I really want to learn more about Reiki but also want to practise and might even want to get attuned myself. And therefore I would like to ask you what you think about studying Reiki online. I have limited options due to my daily life and time restrictions. I think when I could take a course online I could study like up to an hour a day probably. The only problem is that it goes against the usual way of teaching but as there are so many things taught online it can’t be that bad can it? Please read the article as it addresses this question. The optimal way to learn Reiki practice is to be in the room with an accomplished Reiki Master and a group of other students. That said, we all have to make our own choices according to our own values. The article will help with that. 40 minutes does not seem like much effort to make for a training you only need once. The quality of the training you get is really important. Many people travel much further than that to attend classes here, including from out of the state and out of the country. Pamela ma’am, I have an acquaintance who is a reiki master , but right now she is too busy with her other works best known to her. I requested her for a few sessions so as to get attuned myself. But she is reluctant to spare time for me and instead recommended another reiki master’s name. I went to that lady who was recommended, but found her very commercial and more interested in other forms of healings like counselling, meditation, etc. So, should I go to her.. or look for some other alternative ? I cannot tell you to whom you should go, Chandra, but the fact that you are asking the question says a lot. Why not keep looking? It seems there is a lot of Reiki practice in India. Thank you for all the information you provide. It’s very thought provoking and unbiased. I’m interested to learn Reiki but did have one question for which I never found any answers for. Is it possible to switch Reiki masters between level 2 and Master levels? For instance, If the student had to move from one city to another where he/she can no longer can go back to their Level 1 and 2 teacher. And what if there is a change in the lineage? The choice of a teacher is an important decision, and I applaud you for being so thoughtful about it. I encourage you to reach out to a teacher and discuss the situation to see what the teacher’s policy is before you commit to training. I teach Reiki mostly one on one. Many of the people I taught received their 1st degree certification in a class that they deemed unsatisfactory. They felt very little in their hands and had almost zero confidence that they would be able to practice. Most recently someone told me that in the one-day course they took from a reputed Reiki master there was NO mention of the 21-day clearing period or of daily self-practice, although The Secret and how much to charge for treatment were discussed at some length. It would probably be good to have some kind of standard. I agree with Pamela that it is a good idea to ask some questions from the Reiki master one is about to be trained by, to see how the fit is, and what kind of focus the class will have (i.e., traditional, spiritual, New Age, commercial?). I would like to add that I had my second-degree training in a class that did not provide a good group experience. In our group we had a model and a businesswoman who got into an absurd cat fight about who was more spiritual. I got so annoyed, I don’t remember anything else about the day, and it was a good thing that I had print-outs of the symbols and what to do with them, and that attunements work even when you are not feeling particularly meditative or peaceful. Thanks, Judith. You gave good examples of why people need to be able to choose a class that meets their needs. That said, it’s the teacher’s job to manage the class and not allow distractions or discussion that doesn’t serve the purpose of training the students and bringing them to a level of confidence that they can continue to practice on their own. First degree is not a professional training, so how do students benefit from a discussion of fees? Another reason to ask the Reiki master questions — as a traditional Takata master, I don’t give printouts of the symbols. My students learn them in the class. I think that’s great advice; I took Reiki classes all from the same teacher, and all in a group setting, over the span of a couple of years. Besides her experience and knowledge, the fact that she also accepted bartering and payment plans made the daunting financial investment a little less daunting. I’ve long been a fan of feminist pedagogy (decentralized classroom, valuing every person’s experience/insights, etc), so the group Reiki class is something I found to be invaluable. Discussing/learning with each other not only was an invaluable learning experience, but also formed a bond and/or rapport between both students and teacher that still lasts today. I know some Reiki Masters do purely one-to-one classes, which I can’t even imagine, let alone the trend of some Teachers do attune over the internet. I’m still in touch both with the other Reiki practitioners I took my class with, as well as my own Teacher; the benefit of having a community to rely on in case of questions is a benefit that I can’t imagine being without. How fortunate you are to have a continuing Reiki community, Chris. Thank you for sharing your experience. What type of ongoing support do you feel a Reiki master should provide to their students? I’m feeling a bit disheartened having attended one of those long weekend trainings that teach first, second and Master level Reiki. I am extremely confident in my teacher’s competence, but find myself questioning my choice, based on what I have been reading on your site as well as the large size of the class (40), which made it more challenging to feel a strong connection to my teacher. It would be helpful to hear your thoughts on what one might expect in the way of support from our Reiki master post initiation. Victoria, I’m sorry that you are not thrilled with your choice for training. I cannot imagine taking even First and Second degree in the same weekend, and the idea of becoming a master in a weekend — and I’m blessing you with complete honesty here — makes no sense to me whatsoever. Clearly your Reiki master’s vision of mastery is different from mine, so I have no basis for making any further comment. I also prefer to stay away from “shoulds.” I offer various ways for my students to stay connected and to create community. I want to be available to my students because my explicit goal is for them to practice daily self-treatment for the rest of their lives, and I know most people will need a little support to do that. I also value my students’ confidence and trust. The best strategy is not to have any expectations but rather research what a Reiki master offers before signing up. You are clearly past that stage, but you can still reach out to your Reiki master with your kind feedback regarding the training and a clear, respectful request for what support you want. My students have made me a better teacher over the years because I was — and still am — wiling to listen and look to see what worked and what I might do differently. Hopefully your Reiki master will be open to learning from you. If she’s not, you have a lot to contemplate regarding your next move. I hope you are practicing daily hands-on self-treatment and will continue to do so. Let it inform your decisions, and give it some time. Once we are trained, our own practice can become our primary teacher if we know how to be a good student, to practice consistently, to rest in stillness while we observe and contemplate. I wish you all the best. Thanks for your question. It is a good one. Firstly, I can only speak of what works for me in terms of supporting the people whom I have initiated. What each Reiki teacher does to support their students is really entirely as unique as the individual teacher- student relationship. I have received ongoing support in countless ways from my Reiki Teacher Wanja Twan over the years. Of course, having Wanja for a mother-in-law allows the scope of our relationship to be very broad…she is family and family in reiki. This is how I approach the people I have taught. They are part of my reiki family. I offer frequent reiki shares that any student of mine can attend. If I am holding a reiki class I invite any previous students who has that particular level to attend at no charge. This is the same for second degree reiki. If it is suitable I offer to help do reiki treatments on my reiki student’s family members. Sometimes we have tea together or go for walks. Wanja has a great saying “we are always together and sometimes we meet.” So it is with reiki…when we get together it is fun. There is no teacher, there is no student it is all a sharing of the same energy we are all a part of. Reiki is an intuitive hand craft-like knitting. You can’t learn to teach knitting all in one weekend. It takes a long time and much dedication and patience to work and understand all the colors, knitting techniques, different textures and materials. So it is with Reiki and I have discovered it is a rich tapestry of light and love that takes time and devotion to experience all its subtleties…even after 15 years of teaching Reiki I continue to learn and still am a very grateful student. Thanks to Wanja for being there to show me the way to walk in humility and trust always. Thank-you for your inspiration to share Reiki in the virtual world. It is so valuable! Certainly I am an advocate of learning Reiki in person. Although I do understand that there are now many different ways Reiki is being taught, I am only familiar with my lineage and teachings from my Reiki Master Wanja Twan. This method worked very well for Wanja for almost 40 years and for her Reiki Master Mrs. Hawayo Takata before that. And now it is my humble honour to practise this same lineage for the past 15 years as a Reiki Master. I was taught from my teacher Wanja Twan that during a Reiki class the teacher is like one candle lighting another (the reiki student). This is only possible to do in person. My philosophy is that when the student is ready the right teacher appears and each person has a different journey. But when I hear that some of my friends learned first, second and Reiki Master level in one weekend I do feel disheartened. I can only speak of what has worked well for my teacher and her teacher. I encourage reiki practitioners to connect to their Masters Reiki lineage to have a clear understanding of the roots of their Reiki teachings. And most importantly to trust their intuition about their Reiki Master to make sure they have a happy relationship with that person as it is an invaluable connection that will endure for the rest of their life. I figure the best way to honour my Reiki teacher is to continue to teach Reiki in the way I was taught. Thank you for this helpful article. I will share it of course, because I’ve had conversations with friends who have an interest in learning about Reiki and possibly seeking training, but they usually express confusion with so many modalities and claims all over the Internet. On the question concerning the nature of Ki – it is compared with Prana or Kundaline or Energy – also the question on the vehicles of Ki are brought up. 4) “In Reiki there is no “inner system” – such as Nadi, Meridian or Chakras”. 5) “You do not need all these informations to make Reiki work – to many intentions and intentions – keeps you away from being a True Vehicle for Reiki”. “Thank you for helping me to correct my mistakes”. Jessica, thank you for your comment and your kind words. I’m very happy to read of your passion for your practice. I wonder how often cost is the reason someone doesn’t take a Reiki class. I’ve seen so many people overcome a financial challenge to make this one-time investment in a First degree class (which is all that people really need), that I think it is more likely a lack of perceived value rather than the actual cost that puts some people off. And when the class fee is a consideration, I wonder what people miss when they are not given the opportunity to overcome an obstacle. Usui wanted Reiki to be widely available, but he had fees he felt were commensurate with the value offered, and Japanese Reiki master Hyakuten Inamoto tells me they were not low. I always love reading your reiki blog and I always learn so much! I very much appreciate what you share about finding the right reiki master teacher however, I happen to disagree with the part about quality and cost. My reiki master teacher fees are quite low and it has nothing to do with her abilities or confidence. She is a very well-respected and experienced teacher and practitioner (not only with her clients and students but in the medical community as well). She chooses to keep her fees at a reasonable level because she believes everyone should have the opportunity to experience reiki (as a client or a student) and doesn’t want cost to be the reason someone does not experience reiki. To be honest, if it wasn’t for her reasoning, I may not have had the opportunity experience reiki when I did. It’s changed my life and now that it has, I can’t imagine things otherwise. Now I’m not trying to defend her or her fees. I simply wanted it to be known that low price DOES NOT necessarily mean the quality of instruction is insufficient. I know some practitioners who paid 2-3 times more that what I paid and their training was quite poor (that’s what they’ve told me). Anyway, my comment is stated with much respect to you. I have much affection for you. I just felt compelled to share my feelings because of my passion. “This book has a very traditional view on Reiki. For those of you that are considering being attuned via the internet, you may be somewhat disheartened by this book. I say, “buy it anyway”. It is a very informative book and is written well. I personally believe that all people are capable of bringing energy into themselves, whether it be through Reiki, healing touch, qi gong and a host of other healing practices. I was attuned via the internet and I was extremely satisfied. I have experienced amazing results with Reiki with myself and many others. This book did an excellent job teaching me some of the important things I may have missed in a one-on-one experience. I appreciate this author’s expertise and thoughts on Reiki and would recommend this book to all people seeking to learn energy healing.” Terri Ward, children’s author of One Starry Night and Aunt Tami’s Strawberry Farm. Thank you for that clarification, Amelia. Regarding your kundalini experience, I would refer you to a true meditation master for guidance. In my experience (45 years as a student of meditation and yoga, practicing Reiki since 1986), kundalini is not to be taken lightly. It’s one thing to get it moving, quite another to guide it and protect the student. Daily self-Reiki and receiving treatment from trusted practitioners is of course a good idea. I want to clarify that after I was certified for Reiki 1, I did do the self-treatment and contemplation for 3 months before I was certified for Reiki 2. I also didn’t practice on paying clientelle for 2 years after getting my certification. And my Master certification was after practicing on clients for 2 years. I just wanted you to understand that I haven’t necessarily been rushing my practice. I do wish to take classes in the future, but for me, it was a matter of a free certification vs. something that I just couldn’t afford. At some point, I will be going back and taking classes. I do respect my 2 different Reiki masters and have a continuing relationship with the both of them. However, I think that they both operate on a level that is less than traditional. I respect both traditional methods of teaching, and less structured ways (obviously). I am not a purist and it has served me well in most situations in my life. In regards to the kundalini energy – is there something that I need to do for myself since mine was unknowingly released? Amelia, thank you for your comment and questions. You are not alone in this–practitioners frequently contact me with similar situations, concerns, and confusion. This is certainly the downside of having a practice that has no agreed-upon standards for training. It seems to me that you are suffering from not having the foundation of formal training and not being supported by your Reiki master as you grow in your relationship with Reiki. I frankly don’t understand how one can be “certified” in Reiki 1, 2, and Master without having adequate training. Practitioners who pass the practice in this way clearly have a very different understanding of Reiki than I do. My First degree classes are usually about 10 hours over at least 2 days, and longer for large classes. And this is just to learn to practice hands-on. My students are taught that daily self-treatment is the foundation of this practice, and there is a delay of at least several months before taking Second degree (if at all). In my lineage, Reiki master training is an intensive apprenticeship rather than a class. Would you consider taking some time to focus on yourself and daily self-treatment, and maybe taking First degree training in-person with a Reiki master you feel drawn to, someone who is available for a continuing relationship? Then you would have a basis from which to decide for yourself what is credible and respected. There is not much I can say regarding the book you mentioned other than that traditionally, the symbols are not published on the open market; they are available to anyone who wants to train to the Second degree, and the discussion of the symbols remains among Reiki practitioners who are at the Second degree or Master level. Westerners sometimes do not appreciate the value of traditions, or that it takes time to develop, and decide that traditional ways are no longer meaningful in today’s world. I don’t agree. Traditions offer support and guidance and protection. They will naturally morph over time, but throwing them out the window doesn’t seem wise to me. Reiki practice at any level is balancing and does not cause harm. That said, people who practice without understanding often add other things, such as their own intention, or use the symbols in ways that they were not intended, and I cannot speak for what is happening then. People can impose their will in the name of Reiki, even though that is not the practice. They can also do this with the best of intentions and without awareness. This is why I encourage daily self-practice and contemplation, and continuing mentoring with a credible, experienced, trustworthy teacher. If Reiki students were content to simply practice self-treatment, and practice consistently, the understand would arise from within–although more slowly than suits many Westerners. But it seems that most students are not content to simply practice and let it unfold; they are in a hurry to make it bigger, better, more powerful, more noticeable–whatever they find gratifying. And that’s where the problems come in. The awakening of the kundalini is a powerful, sacred initiation that is best done by a kundalini master who is able to guide the student’s development. I am a little confused about something, and am not sure where to get the answers. Here is the situation: I was certified in Reiki 1, 2, and Master by friends. I have not taken a class, but have been learning by experience the last 6 yrs. Recently, I took a class to learn Cranial Sacral therapy and the teacher decided to trash the symbols in Diane Stein’s book (he saw that I had it with me). He proceeded to say that anyone who uses those symbols is not practicing traditional Reiki and can cause harm – such as releasing someone’s Kundalini energy. Normally, my thought process is that this is just his opinion and I should make my own judgements based upon my experience. The thing is, in my very first Reiki experience (as a client) my Kundalini energy was released. Now I am wondering if that is harmful somehow, and how to prevent that from happening to anyone I provide Reiki for. It hasn’t happened yet, but it scared me a little. Is there somewhere to find the traditional symbols so that I can make sure to use those instead of the ones I have been using? I also want to eventually teach a class on Reiki 1 & 2, but don’t want to be teaching something that is not respected. Any help you could give me would be much appreciated. And any books that you recommend would help as well. I actually had my Usui training in person, after I had completed my Kundalini Reki training. I had the Usui class scheduled, but it was for the early fall and I and was ready to get going so I took the distance training first. It ended up working out perfectly for me. I think it is important to note that I had been trained as a massage therapist with a specialty in vibrational healing massage (a form of energy work, combined with massage) in 1992. So heart based energy work was not new to me when I completed my first Reiki training. I did not mean to equate the effectiveness of second degree with distance learning. That was not my intention at all. I agree with you that it would be comparing apples with tulips. Thank you for your kind comments, Kat. How wonderful that you have had such good results, and that you have had good experiences with both your teachers. However, I really want to keep this from being about specific teachers. I hope we can all appreciate that giving in-person classes doesn’t automatically make a Reiki master a good teacher any more than offering distant training means a particular teacher is somehow inadequate. I am wondering why you included the comment about distant healing. Surely you don’t mean to equate the effectiveness of Second degree with distant learning; that would be comparing apples and tulips. I think this is a very helpful article for people interested in Reiki. There is some great advice here for people interested in Reiki. I have a friend in the blogging world who is contemplating taking her first Reiki class and I am going to forward this article to her. Thank you! I studied two forms of Reiki last year, both through the Master level. I live in the San Francisco Bay Area and am fortunate to have access to many Reiki teachers, For my Usui Reiki Training I chose a wonderful teacher named Barbara Rose Billings, She is a former nun and has a very grounded approach to Reiki and healing. I am grateful that I took my Usui class through Barbara Rose. It was something I had wanted to do for over 10 years and the timing finally was right last summer. Shortly before I started studying Usui Reiki, I learned about Kundalini Reiki though Alice Langholt via Twitter. I found myself energetically aligned with her and studied Kundalini Reiki with Alice. All of this work was done through distance learning. It was a very powerful experience for me. I think the reason why it was so powerful and effective is because of my teacher and her availability to me throughout the process. I find both forms of Reiki to be effective tools for my healing “tool box” I do find myself more attracted to the Kundalini Reiki because of the simplicity of it. I also appreciate the ongoing support that I have received from Alice and consider her to be a very effective teacher and heart based healer. I have found Reiki to add a very balancing quality to my life. It has been super helpful to me on a physical level; I have lost about 40 pounds since last Summer. My daily or near daily Kundalini Balance Meditation has helped me tremendously. I also feel more level headed and less sensitive to stress. I have had the honor of doing distance Reiki with several people and a few dogs and cats over the course of the past 7 months. I am a firm believer in the power of Reiki to heal ourselves and our planet. Thank you again for this post Pamela. I think it can be very confusing to people new to Reiki and confused about where to turn to find the right teacher. It is a very individual process and your advice and expertise is helpful. Krystal, who said distant and in-person training is the issue, other than you? Why do you say any of these comments have bashed distant training? Unless I’ve missed something here, no one has attacked distant training. Some commenters have simply and respectfully stated the advantages they find in-person training to offer. I wrote this post to help people evaluate the options available to them and make their own choice. The title of the post is Reiki Classes: What’s Right for You? and the text brings out points prospective students might consider. In-person vs. distant training is not the topic. There is great diversity in the Reiki community, and we all have much to gain from a respectful, thoughtful dialogue among practitioners with various perspectives. But we have to be careful about the assumptions we have regarding what other practitioners think. I, for one, do not understand Reiki to be energy, nor do I see Reiki masters as channels. Blanket statements don’t build consensus. Looking carefully to understand what others are saying, and articulating our own experience in clear neutral language are more likely to bring us together in community. Your response to Krystal is totally out of line. You DO in your articles state that credible Reiki 1 training should be done IN PERSON and HANDS ON! If you don’t realize your own statements then I suggest you refer back to your posted articles. I have lost all respect and admiration for you after reading the way you defensively react to others. You’re no expert or professional. Not one that I would consider “credible”. I’m a healthcare professional and also a Reiki 1 DISTANT STUDENT! Thanks. To my knowledge, I’m consistent in my position that the best environment in which to learn to practice Reiki is an in-person group class that includes in-class and at-home practice. I don’t recall using the word “should;” it’s not a word I use often. I don’t see credible Reiki practice as a matter of shoulds or do’s and don’ts. It has more to do with treating people respectfully, expressing oneself clearly, and a willingness to serve. And of course, daily hands-on Reiki self practice. I’m not sure if you don’t fully read and understand what’s being written but your response didn’t make sense. So what I was writing about had nothing to do with your consistency on your views. It had to do with the way you react and respond DEFENSIVELY about your views that really are worthless due to your arrogant attitude. I’m sorry but you aren’t the final say in the Reiki community Ms Pamela. Maybe it’s time for new more progressive thinkers with the ability to see beyond the “traditional” environment so that this community might be more inclusive to match the world today. I feel you you are incapable of that. Also let me add that you obviously cannot speak for credible Reiki practice saying ” it has more to do with treating people respectfully, expressing oneself clearly, etc when one you can’t even read post and respond appropriately, you’re egotistical, and you certainly don’t express yourself clearly because that’s why I’m having to respond! WOW. Seems someone has to keep you in line! Christopher, to have a meaningful airing of different views, it is important to distinguish between views and people. You can disagree with me without making personal attacks: argue the points rather than putting down the person you disagree with. I’m not the final word on credibility; rather, I have created a venue for those who are interested in having a respectful discussion about it. If you are interested in having respectful dialogue, your comments are welcome. But if you continue to make personal attacks, no more of your comments will be published. I really do not see why everyone is bashing being taught distantly. Isn’t the first real lesson with Reiki is that the energy is EVERYWHERE and it’s in EVERYTHING?? That being said the Reiki Master channels the energy from source and then attunes the person. To me being a student of BOTH “traditional” in-person classes and the distant attunement I can verify that NEITHER form of attunements over powers the other. This is because the Reiki Master is the vessel for the energy to flow through them and into the new student. How you learn Reiki distant or in -person is not the issue here. I do agree that any student has to do research when finding a Reiki Master for either in-person or distant. I have done THOROUGH research for both my in-person and distant teacher and I love them BOTH. And just so you all know my Reiki Master who taught me distantly is the one who communicates with me the MOST and makes sure that I was assilimating to the energy correctly and just chit chat about other Reiki stories. I still talk to my other Reiki Master but we do not discuss Reiki too much and her lineage is closely linked to William Rand. What I loved best about my distant teacher was that they were never “pushy” for me to learn with them, they made me make my own choice, if I felt that was the right path for me. They were there for me every step of the way with emails with any questions I had about the attunement, etc. When I actually received the attunement it literally felt like she was there with me having an in-person, and this is because Reiki is energy and energy is NOT limited to just in-person sessions or attunements. Saying a distant attunement does not work or that is wrong is saying that all the distant healing sessions do not work either and we ALL know they work!! Why deny a distant teacher that same respect of a distant healing?? To say that one method is better than the other is just sad, the energy still flows the same way and the student still receives the energy in the same fashion. The REAL issue with distant learning is making sure the teacher is legit, but this also goes to any teacher not just the distant ones. You can have fraud in-person classes just as much as fraud distant teachers. This requires the student to be mindful of what to look out for when it comes to a legit Reiki teacher. That being all said, I hope I shed some light here on why distant and in-person training is not the issue when it comes to learning Reiki, the real issue at hand is doing the research to make sure they are legit. I completely agree with your wonderful advice to students and the points you make. In my teaching practice, students are required to have ample practice and processing time between levels as well as requirements they have to fulfill before moving to the next. It deeply saddens me to see People being taught Reiki levels in a weekend or worse yet, being Mastered in the same weekend. I’ve even heard of people being Mastered with no mentoring within weeks of Level I and in a 3 hour class. I have also seen the videos being sold in which people are attuned and taught. Many times I have students from other classes refresh with me and be astonished at what they were not taught in these large all- in- one- weekend classes. My Reiki master Teacher who taught me wrote a wonderful article called “Reiki – Blue Light Special – Beware” on my website http://www.whiterosepath.com. This is a succinct guide to help prospective Reiki students seek and find the teacher who is right for them. Researching their needs, using your guidelines will be helpful. I am also an advocate for learning Reiki in person. The personal contact, sharing of stories and witnessing others experiences, enriches the students own learning. We all learn in different ways and a successful Reiki class incorporates auditory, visual and kinesthetic learning styles. Even though the content is the same, each class is different and the right students always come together. Shared hands on treatments enable students to gain confidence and become comfortable with all the hand positions. Students begin to experience the subtle variations of how we feel Reiki energy in our hands. Discussions of their experiences of self treatments reinforce the value of self treatments becoming a daily practice for each student. Without this discussion, the learning is totally one sided and not experiential. We learn through other’s experiences as well as our own. I offer my students a monthly support night to come together, share treatments, ask questions and discuss their own stories of giving and receiving Reiki. These evenings are always rich. My experience is that teachers who are members of the Reiki Alliance are committed to their practices. The shared learning that takes place at the conferences when we all come together and practice Reiki, discuss our own personal growth and learn from our Reiki elders enriches our teaching skills and deepens our own practice. Thank you Pamela for all your hard work to help Reiki become mainstream. You are excellent at giving people the direction they need to find credible teachers who are right for them. My first experience with First degree Reiki training was in a three-hour private class, alone with the practitioner who has given me many wonderful Reiki treatments over the years. Although she has helped me in my healing process as a practitioner, I came away from this very short class with a ten-page handout and instructions to continue self-treatment for at least 28 days. I found that this was not enough to help me establish a daily practice of self-treatment as I had not shared my experience of learning Reiki with anyone, felt unsure whether I was “doing it right,” and did not want to bother my teacher by calling her too often with follow-up questions, as she did not respond to my calls with much warmth. After 28 days I stopped because I felt discouraged and ambivalent about self-treatment, although I continued to receive treatments from others. If anyone else has had similarly unsatisfying experiences learning Reiki the first time, I encourage you to seek out another teacher and to try again. I decided to take Pamela’s ten hour group class (3.5-hour meetings spread over three evenings) and gained a much deeper and practical understanding of Reiki. I now practice self-treatment daily (sometimes twice or three times!) and plan to continue for the rest of my life. I feel that it’s the teacher who makes the learning opportunity for the student. If the teacher is passionate about Reiki, and deeply committed to ensuring that her students are learning and feeling confident about their work with the energy, then it does not matter if the class is in person or via distance. I say that because I am one of these teachers. I teach both locally and remotely. I have distance students who have told me that they received clearer instruction, closer guidance, and learned better from me than the in-person class they took with a teacher who was distant, did not explain things well, and sent them on their way. That being said, I also know people who have studied remotely from teachers who only sent attunements and a manual with no further explanation. This is not what I do, and I don’t consider it good teaching. I give each of my students, whether in person or by distance, closely guided instruction and personal attention. I am in touch throughout their learning, and as long as they want my guidance afterward. I help them learn to tune in to their intuition to sense the flow of the energy. My students receive and experience their attunements remotely as strongly as those who receive them in person. Their mindful practice yields them confidence in their ability to channel Reiki in either case also. I help each student connect with his unique ability to sense the energy, and further develop his awareness through practice. I have taught over 200 students in the past year and a half, most of them by distance. My distance students practice on their friends, family, and themselves. This is not different from my local students, who go home to do the same. They receive feedback from those they practice on, and I’m always available to answer their questions and offer them feedback when they share their experiences with me. I encourage readers here not to judge the distance or modality (if different from Usui), but instead to seek out the teacher that helps them feel comfortable, cared for, and confident. A good teacher is going to help you be successful, whether you are across the room or across the world. I’m an advocate for learning Reiki in-person in a class setting for all the reasons Pamela mentions. Learning Reiki with others is rich in part because some teachings are implicit. As you practice treating yourself and giving and receiving Reiki with your classmates, you repeatedly see and experience the tangible effects and power of loving touch. Time is a potent learning tool. Having class time for practice and daily self-treatment homework builds confidence in the form and in your own abilities. Hearing about what others feel when you treat them and reflecting on your own experience as giver and receiver is a counterweight to the normal doubts of most beginners. The safety of a class spread over several sessions allows time for you to notice and talk about new, and sometimes subtle, awarenesses. First imprints are potent. 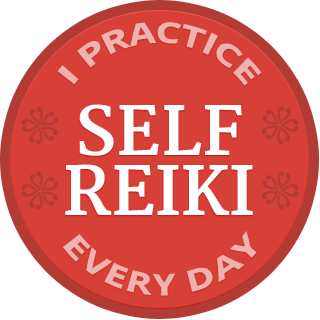 They can help you develop the commitment and discipline to make Reiki a daily practice. And, the more you use Reiki, the more you’ll understand it, and the more effective it will be in supporting your life and your desire to help others.